Inside the Automobile Club of Egypt two very different worlds exist side by side: Cairo's European elite, hobnobbing over their expensive autos, and the Egyptian staff that waits on them while squabbling and laughing amongst themselves, in this second novel from Alaa Al Aswany, following the International IMPAC Dublin Literary Award nominee The Yacoubian Building. In the days after World War II, Egypt's corrupt, womanizing king plays patron to the club, though it is his chief-of-staff, the tyrannical Alku, who really runs the show. 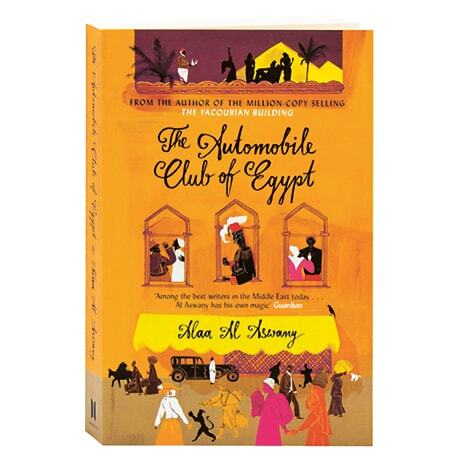 Abd el-Aziz, a landowner who has lost everything, moves his family to the city and takes on menial work in the storeroom of the Automobile Club. When he runs afoul of Alku however, the consequences are devastating, and his ruined family is soon swept up into the politics of the club and the lives of its members, amid the social upheaval of Egypt itself.